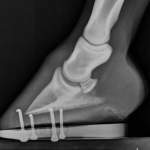 At Mid-Rivers Equine Centre we routinely provide radiograph consultations on x-rays taken by other veterinarians. 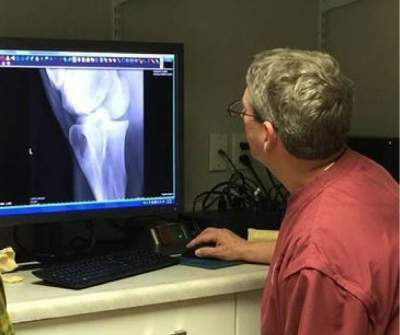 Horse owners come to us seeking a second opinion of third party x-rays, or asking us to interpret pre-purchase exam radiographs. Dr. Tim Ellis Reviewing Radiographs. 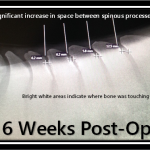 Our radiograph consultations include interpretation, consultation and storage of images. X-ray consultation is a flat fee service. The fee includes multiple views for the same horse, which can be particularly cost effective, as advanced pre-purchase exams can include 10 or more views. 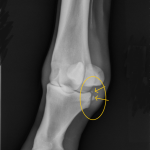 After the x-rays are interpreted, Mid-Rivers Equine Centre’s reviewing doctor will contact you to present the findings and provide consultation. This is generally a phone conversation. If you would like us to interpret a horse’s x-rays, simply complete the X-Ray Consultation Request form and have the x-rays emailed to: office@midriversequine.com. Be sure to identify any specific facts or concerns we should look for and address. If you are new to Mid-Rivers, please contact the office to set up an account prior. Please note: The quality of the x-ray affects the ability to interpret them. DICOM is the preferred image format for evaluation. Good quality JPEGs can be evaluated if they are transmitted at a high resolution. Either of these formats can be used to email x-ray studies to Mid-Rivers Equine. If you have any questions about radio consultations please don’t hesitate to contact the office prior to completing the request form at 636.332.5373.